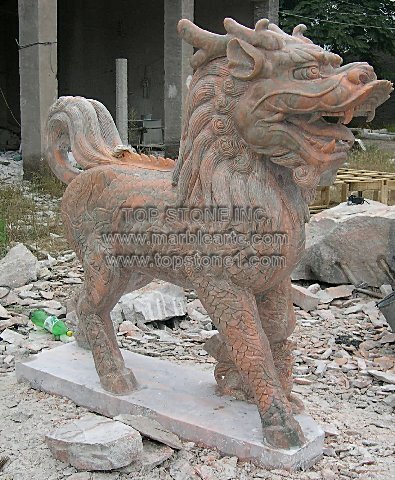 Description: TSAL022 - Dragon Marble Carving - This statue is one of those rare religious art pieces that double as famed marble statues china that can make your landscape fountains look exotic and otherworldly. Set up these unique garden statues in your gardens today. Where else are you going to get these famous marble statues at a minimum going rate? With its fine marble carvings and arte, this dragon statue makes for grand marble statues and fountains as well as an ethereal marble water feature.